Table tracker (also known as just Tracker) is a solution often used for fast casual restaurants to locate where customers are seated when food has to be taken to table. 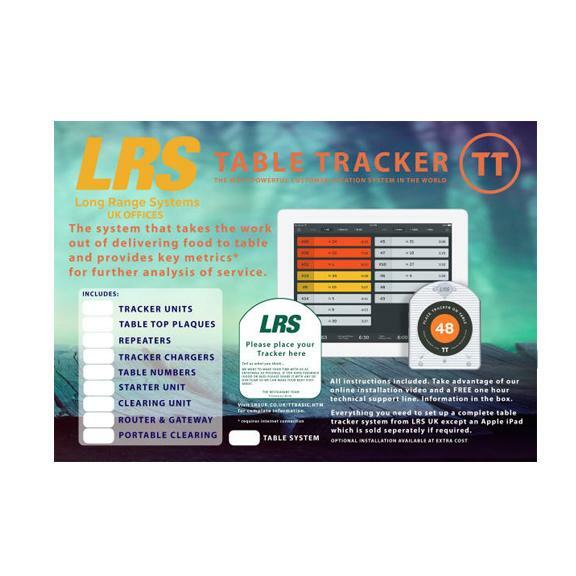 There is no other system in the world that does this job as effectively as the LRS tracker solution. If you need to improve efficiencies in this area within your restaurant (or other business sector that we are developing currently) then tracker can improve delivery times (as an example) from 14 minutes to under 4 minutes - something we have seen on many occasions. And that time saving allows for faster table turns and a big improvement in staff efficiencies. The solution (if you have an optional internet connection) also collects data for key metrics and can show you exactly how your company is performing in this very important area - customer service! 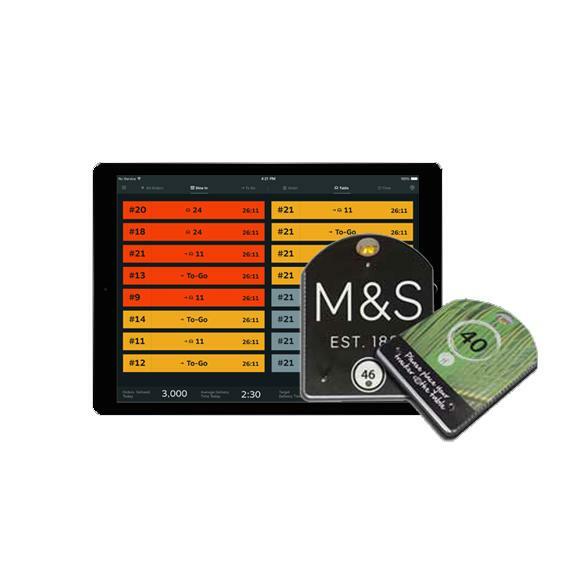 As one major UK company commented "Table Tracker has really helped not only with speed of service but also identifying where we can probe speed of service and make informed decisions with additional resource or cooking equipment. Before table Tracker this would have been purely anecdotal." We could not have put it better ourselves. Learn more about TT. The Tracker is sold in two forms - a basic and a pro version, but here we discuss the basic Tracker version and how you can obtain this solution for a substantially lower cost than the pro version that always needs a custom and complex install. This new offering of tracker basic includes everything you need for a complete tracker system except for an Apple iPad and of course an optional internet connection. The Tracker basic is suitable for a typical 30 table restaurant, but you can buy other items separately later to work with more tables if necessary at extra cost. Table Tracker basic breaks the price barrier for this kind of solution. Our 'Pro' version has been taking the UK by storm over the last four or five years. A typical Tracker 'Basic' 30 table self install solution as described below has a UK list price (for the hardware only) of over £3300.00 plus VAT and delivery. This is a saving of over £545.00 discount of the hardware against our regular retail pricing for this solution - only available currently on this promotion. Available directly from LRS UK on 01782 537000 or buy online now.